Thread: Finally found my wife a car!! Thanks to my good friend Mustang Pete (sent me the Add) we were able to pick up this 70 Mach 1 for my wife....a really solid start to a build I have been wanting to do for a while for the women who makes it all happen and puts up with my Crap constantly.... just wasnt able to find the right canidate, she has always wanted an older fast back... I even went to Carlisle and found nothing in our price range and this was right in my back yard, well in the next town anyway...I hope she likes it when its completed..plans are for a light resto and some mods....going ot leave the 351C 4 barrel Auto for now..Dont really know alot about these older cars so going to be looking for some help along the way..
Congrats on the find, Chet! Looks like a solid base to work from. I've always wanted a '70 for myself, but it will probably never happen unless I inherit a spare garage somewhere. Kinda got an eye for a Grabber Blue '70 Boss (doesn't matter: 302, 351, 429), if I only had somewhere to keep it. Thanks Bruce ...sorry we missed you at the show...My wife originally wanted a 67 but she really liked this one..I know of a 70 Boss 302 grabber blue drag pack car with 35K original miles, I could not afford the 100K price tag though.. 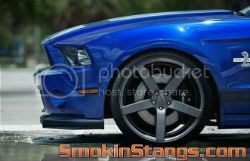 I know of a 70 Boss 302 grabber blue drag pack car with 35K original miles, I could not afford the 100K price tag though..
Yeah, that's the rest of the problem with my getting one. I am jealous for sure. Cant wait to see it in person at the CARBBQ in a few weeks. wow chet, very nice.....congrats on the find. She'll be happy with her own cruiser now! WOW....Congrats!! Very nice and a great pick. Knowing what I know this classic muscle mustang is in some very good hands. I'm sure this one is going to clean up real nice!! If this is the one I saw on craigslist, you stole it brutha! Great score Chet! Honestly I thought it would be bought and flipped, so I am glad to see you with it Chet! Shelby Found in Desert - Anyone else see this?? By glstangs in forum Smokin "Chat Room"
It's Official...the Cobra has found a new home. Tiger Woods - Confirmed as Assaulted by his wife with Golf Clubs.